4. 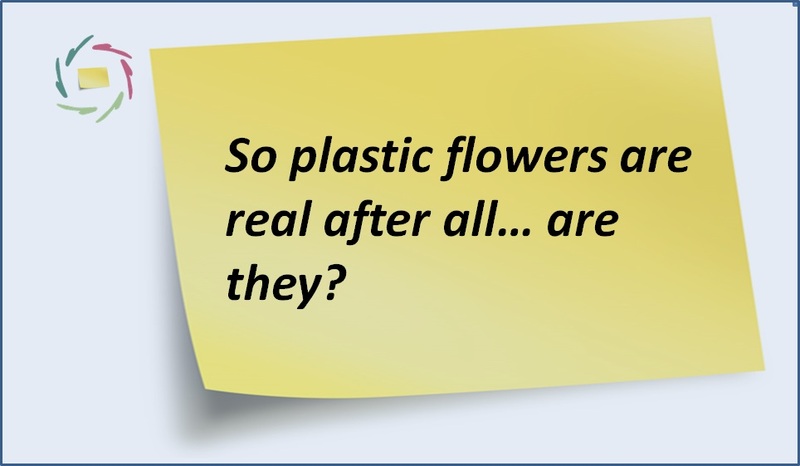 So plastic flowers are real after all… are they? Good to know (yet not a recent finding) for all asthmatic patients: you can get an asthmatic attack through contact with a plastic flower (*). It may surprise you at first, but this is extremely good news, since it means that the relation between allergen (the thing you react to) and your reaction itself is not without intermediate. We should have known of course. There’s a person in between: you. So also there’s always a possible solution somewhere between, if you only know how to use this you. This of course also says something about all of us. We are all asthmatic. ‘Ich bin ein Asthmatieker.’ So are you. We all have an immune system that can start to react to flowers, plastic ones or others. Think of this next time you pass a flower shop. Think of this next time, OK, whenever you may buy some flowers for your partner (recommended, unless of course…). In the present age of increasing asthma, especially in children, we may look at this growth as a warning. Apparently this warning is getting stronger and stronger. Asthma may be telling us that we should take better care of ourselves as total beings. 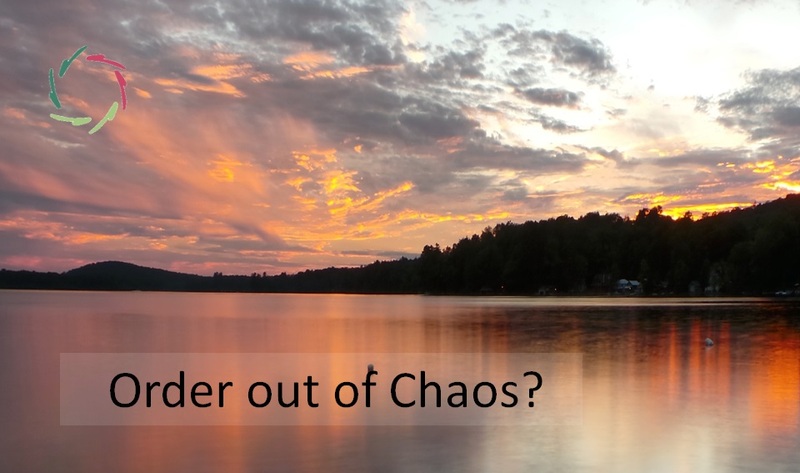 We do have an inner mind that needs to be looked after. It needs attention just as our body needs physical exercise, just as our teeth need brushing and our stomach needs food. As our lungs are in need of air, our total beings are in need of ‘inner air’. The ancient Greeks used to call both ‘pneuma’. Apparently they knew what they were talking about. 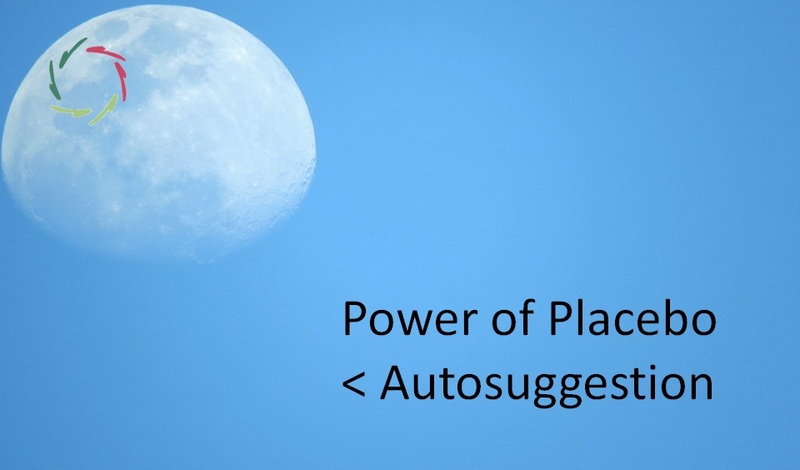 Asthma may be an effort to keep the ‘pneuma’ inside. Don’t let it go! Don’t let it leave you unless you are very certain that you will get it back. Pneuma. ‘Inner air’. Say: presence of nature, good art, religious feelings, meditation, autosuggestion. Or, put in a negative way: not being addicted to superciality itself. or the world may turn completely plastic. 59. 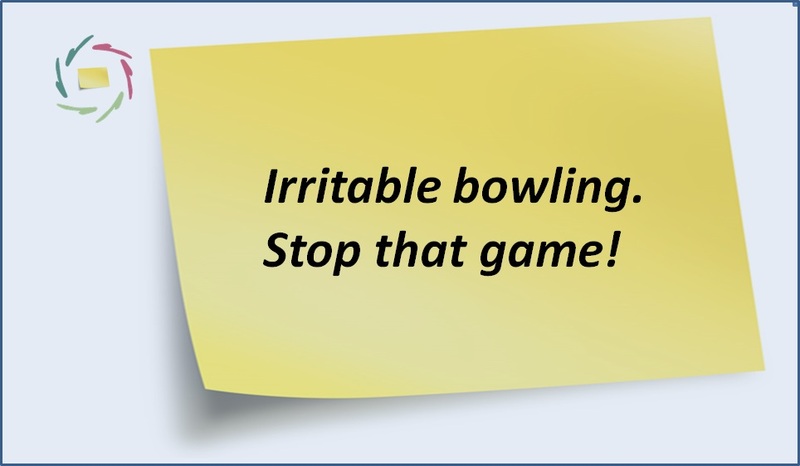 Irritable bowling. Stop that game!